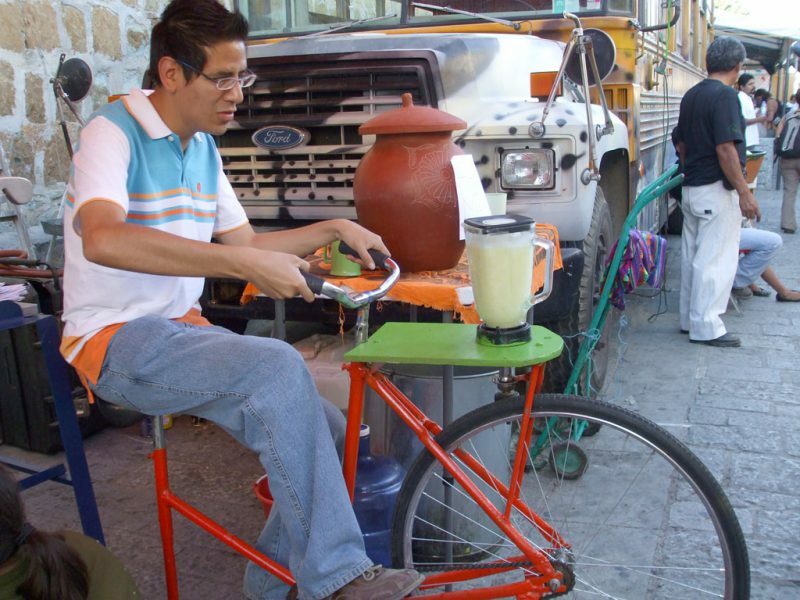 Bicimáquinas are bicycles that are transformed into motorized tools for daily use, whether to grind coffee, blend a sauce, process corn, or pumping water. 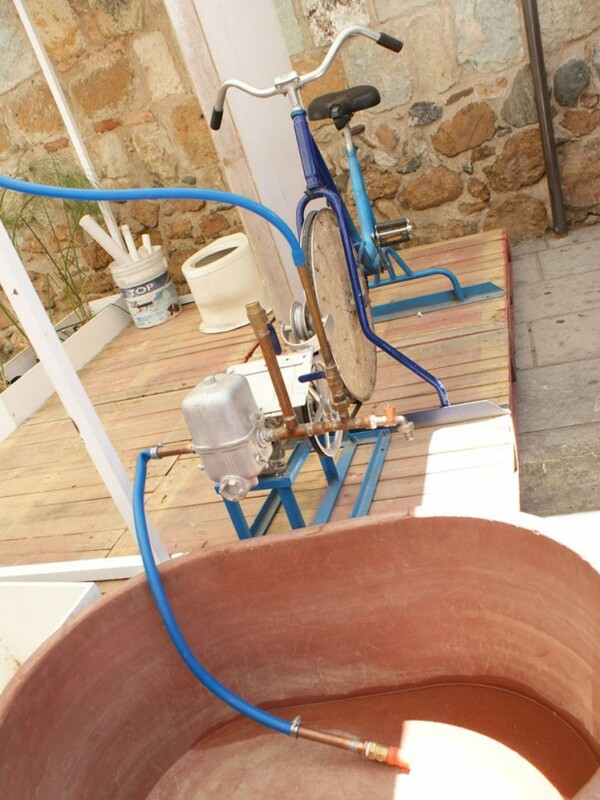 These bike-machines are created by CACITA, also known as the Autonomous Center for the Intercultural Creation of Appropriate Technologies (Centro Autónomo para la Creación Intercultural de Tecnologías Apropiadas). 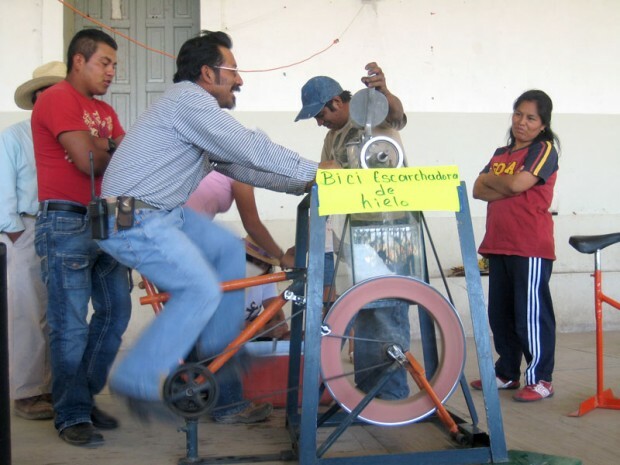 Cristian Guerrero, one of the group’s founders has given courses and demonstrations to rural communities in several states of Mexico along with their collaborators. 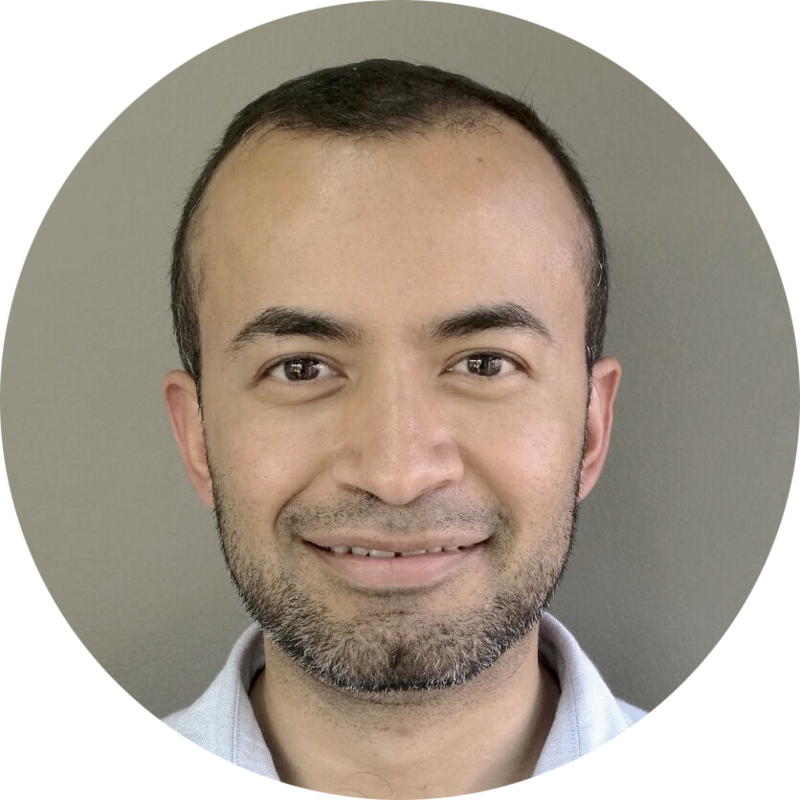 Part of the philosophy of appropriate technologies is to develop designs that use materials and tools available in communities, especially marginalized areas. By turning old bikes into income generating tools, bicycles are accessible to the community and are methods that can be used without the need of an outside consultant and without having to buy expensive raw materials or technologies. Photos by Revolucionemos Oaxaca, Cristian Guerrero, Ecoaldeas México.